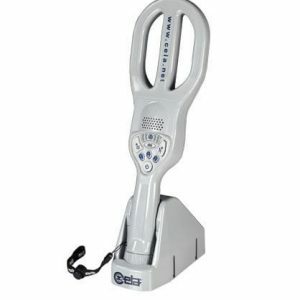 CEIA PMD2 Plus Elliptic Metal Detector Metal Detector | US Testing Equipment, Ltd.
One of the most popular walk through magnetometer models on the market, the CEIA PMD2 Plus Elliptic Metal Detector is a zonal model that combines high discrimination and detection with the minimum visual impact. All PMD2 Plus models are easy to assemble and transport which make them perfect for both temporary and permanent installations. 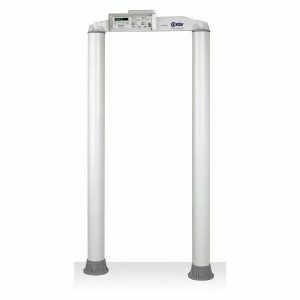 The CEIA PMD2 Plus Elliptic model places special focus on design by featuring modern, elegant lines that can be inserted into the almost any surrounding making it the perfect checkpoint security system for any facility or special event. It is able to detect a wide range of threats from guns to ½ cutter blades and has 60 distinct detection zones with left, center and right indications. CEIA’s PMD2 security magnetometer is the most advanced metal detector technology and is compliant with Security Standards that require detection of all ferrous and non-ferrous metal weapons and of those constructed in special nonmagnetic alloys. The PMD2 Plus detects firearms and knives of this type, even when they are hidden within body cavities, and accurately indicates the position of the threat, its intensity and its prevalent composition. Inspection personnel thereby acquire thorough knowledge of the metal item and can act, according to procedures, with maximum effectiveness and security. 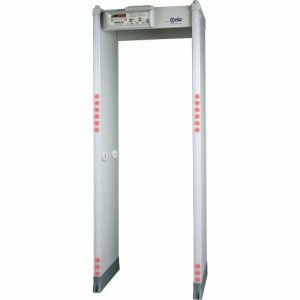 The CEIA metal detector can be used in a variety of settings including sporting event venues, entertainment shows/concerts, airport security and critical infrastructure environments. 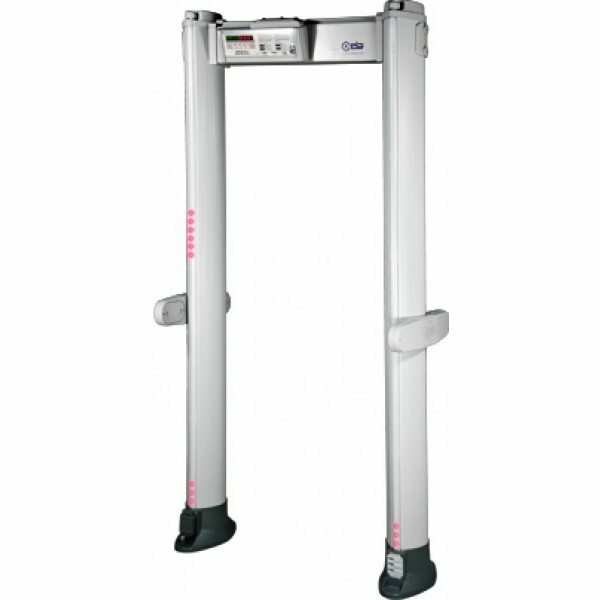 US Testing Equipment is an industry leader in metal detector security program implementation. Our experienced professionals understand what it takes to integrate walk through magnetometers into a new or existing security program in order to get the desired security level and throughput. 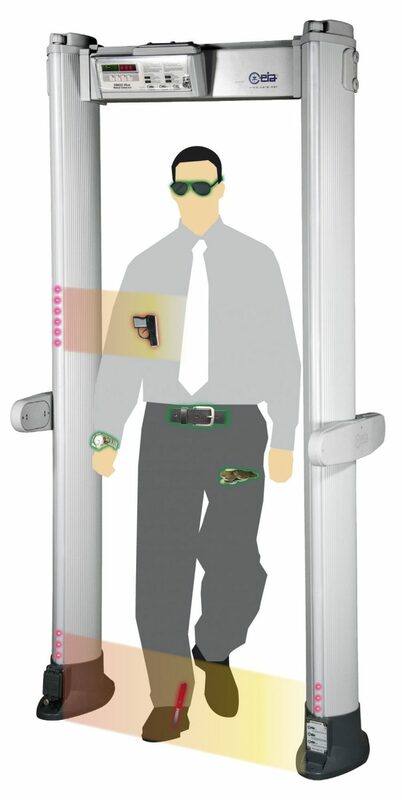 We not only advertise walk through metal detectors for sale but also our years of experience with installation, service and maintenance in checkpoint security systems. 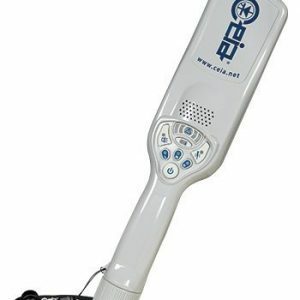 CEIA PMD2 Elliptic magnetometer is a zonal model with an elegant design and the most advanced metal detector technology.